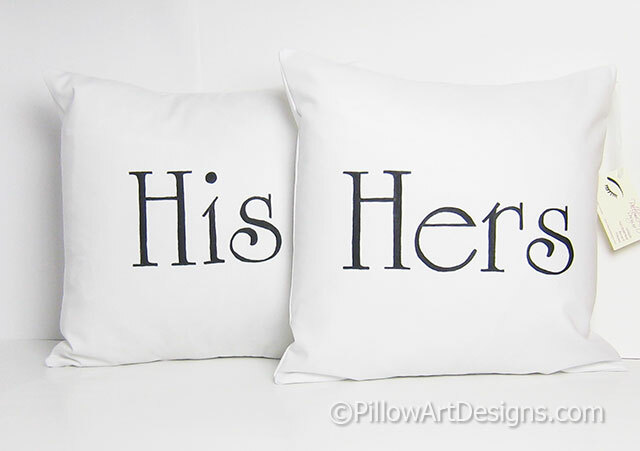 Simple but elegant looking set of His and Hers pillow covers in white with black letters. 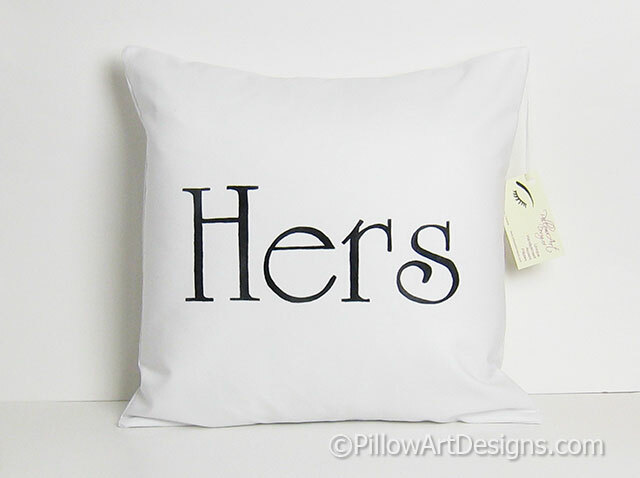 Hand painted using quality fabric paint that will not wash off, flake or rub off. 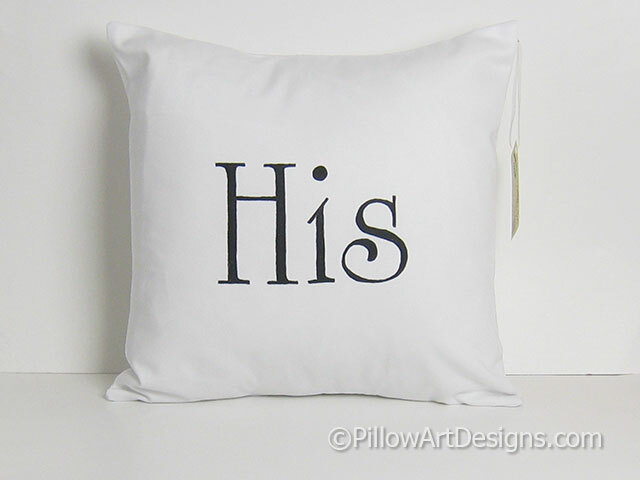 Fabric is crisp white cotton twill. Seams are double stitched for durability and overcast to prevent fraying. 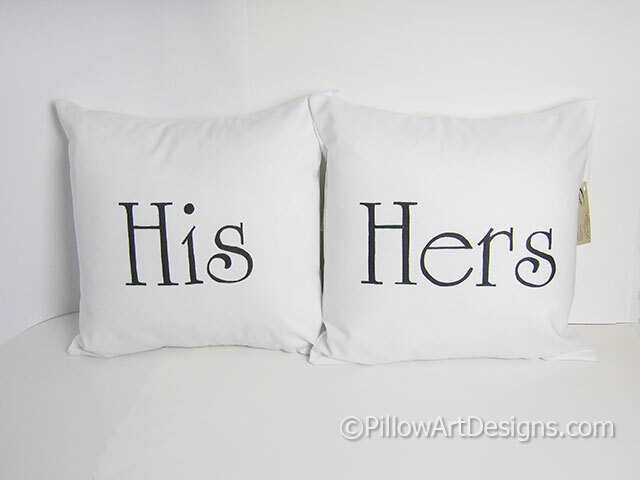 Covers are made to fit an 18 inch pillow insert, as shown in photos. 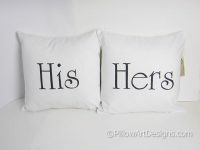 Contact me here if you wish to include the inserts with your purchase. Price is an additional $25, plus shipping costs to your location.